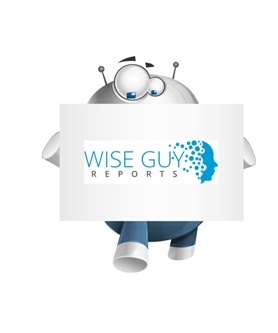 WiseGuyReports.Com Publish a New Market Research Report On –“ Gene Therapy 2019 Global Market Outlook,Research,Trends and Forecast to 2026”. The global gene therapy market is anticipated to reach USD 4,300 million by 2021. The demand for gene therapy is primarily driven by continuous technological advancements and successful progression of several clinical trials targeting treatments with strong unmet need. Moreover, rising R&D spend on platform technologies by large and emerging biopharmaceutical companies and favorable regulatory environment will accelerate the clinical development and the commercial approval of gene therapies in the foreseeable future. Despite promise, the high cost of gene therapy represents a significant challenge for commercial adoption in the forecast period. Gene therapy involves inactivating a mutated gene that is not functioning properly and introducing a new gene to assist in fighting a disease. Overall, the field of gene therapy continues to mature and advance with many products in development and nearing commercialization. For instance, Spark Therapeutics received approval of Luxturna, a rare form inherited blindness in December 2017. Gene therapy market in late 2017 also witnessed the approvals of Gilead/Kite Pharma’s Yescarta and Novartis’ Kymriah in the cancer therapeutic area. Gene therapy offers promise in the treatment of range of indications in cancer and genetic disorders. Large Pharmaceuticals and Biotechnology companies’ exhibit strong interest in this field and key among them include Allergan, Shire, Biomarin, Pfizer and GSK. The gene therapy space is witnessing a wave of partnerships and alliances. Pfizer has recently expanded its presence in gene therapy with the acquisition of Bamboo Therapeutics and Allergan entered the field, with the acquisition of RetroSense and its Phase I/II optogenetic program. North America holds a dominating position in the global gene therapy market which is followed by Europe and the Asia Pacific. The U.S. has maximum number of clinical trials ongoing followed by Europe. Moreover, the field of gene therapy in the U.S. and Europe continues to gain investor attention driven by success of high visible clinical programs and the potential of gene therapy to address strong unmet need with meaningful commercial opportunity. Moreover, the increasing partnerships and alliances and the disruptive potential of gene therapy bodes well for the sector through the forecast period. Key Findings from the study suggest products accessible in the market are much competitive and manufacturers are progressively concentrating on advancements to pick up an aggressive edge. Companies are in a stage of development of new items in order to guarantee simple implementation and connection with the current gene. The hospatility segment is anticipated to grow at a high growth rate over the forecast period with the expanding utilization of smart locks inferable from expanding security-related worries among clients amid their stay at the hotels. North America is presumed to dominate the global smart locks market over the forecast years and Asia Pacific region shows signs of high growth owing to the booming economies of India, and China.